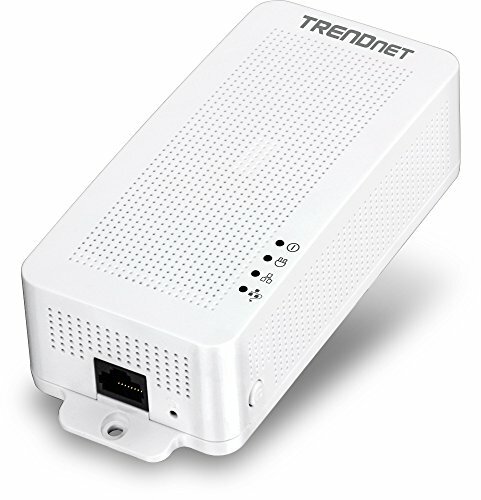 TRENDnet’s Powerline 200 AV PoE+ Adapter, model TPL-331EP, creates a high-speed Powerline 200 network using your home’s existing electrical system. It features a PoE+ output port to connect PoE devices such as IP cameras, wireless access points and VoIP handsets over a Powerline network. Two adapters are needed to start a network. No CD installation required—encrypted TRENDnet adapters auto-connect out of the box. Plug in the first adapter and network it to your existing router. Plug in other adapters on the same electrical system and they auto-connect to the first adapter for instant internet access.